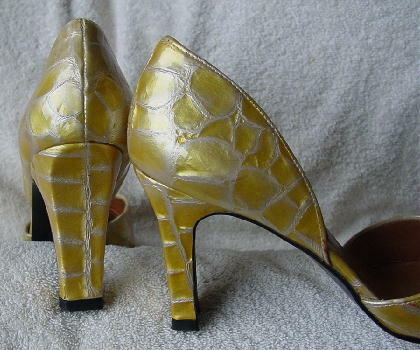 These elongated toe leather pumps have open shanks. 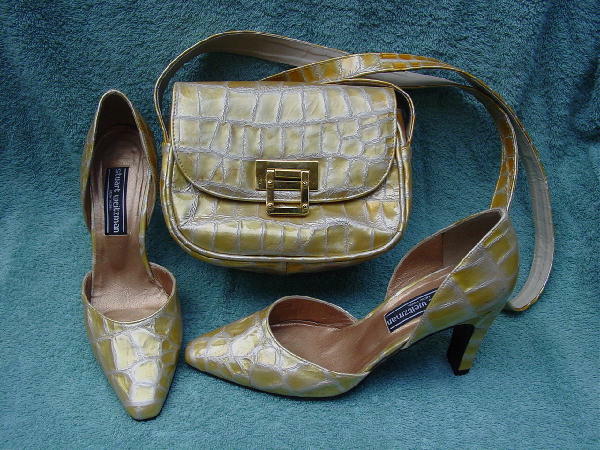 They have a faux crocodile pattern in yellow and white. 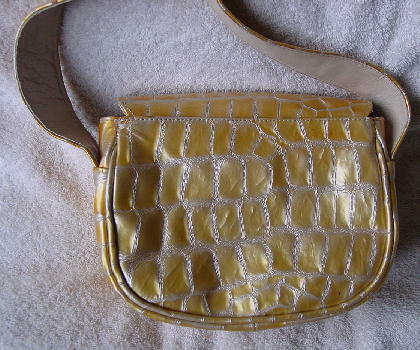 There is a color and pattern matching leather purse which has a large gold-tone closure. 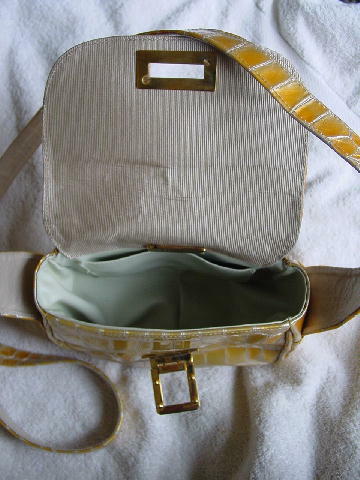 The inside of the lid is a champagne color fabric and it has a bone color interior with an open pocket. 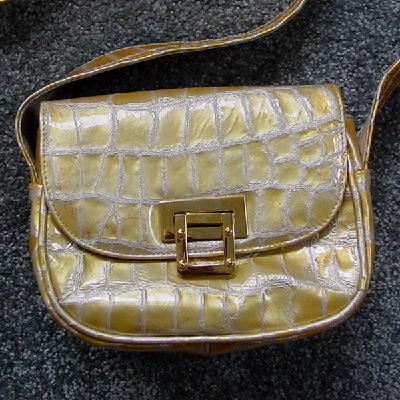 It has a 49 1/2" long houlder strap with a bone color lining. There are several red line marks on the lid to the right of the front closure. They're from a former buyer for a department store chain.